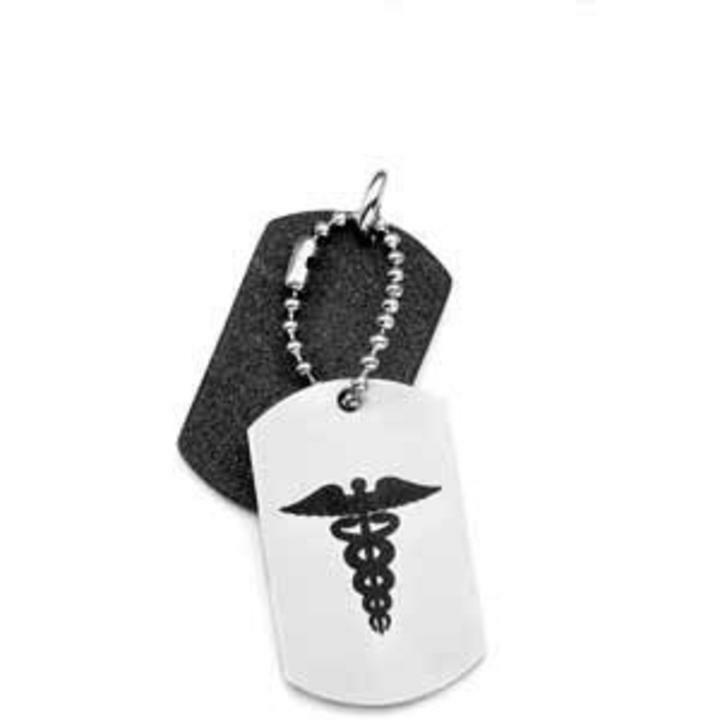 Our contemporary, double Medical id alert dog tags are made of 316L surgical stainless steel. Charm 1 has a brushed stainless finish and Charm 2 shows off a sparkling charcoal finish! The back charm hangs from a stainless jump ring while the front charm hangs from a 3/4-inch small bead chain. Charm 1 features a medical symbol on the front[ and can be engraved on the back by black laser. Charm 2 can be engraved with a laser which removes the black plating to create a high-contrast inscription. Engraving with be in Portrait orientation. Comes with a 30 icnh stainless steel bead chain which you cna cut to your size.